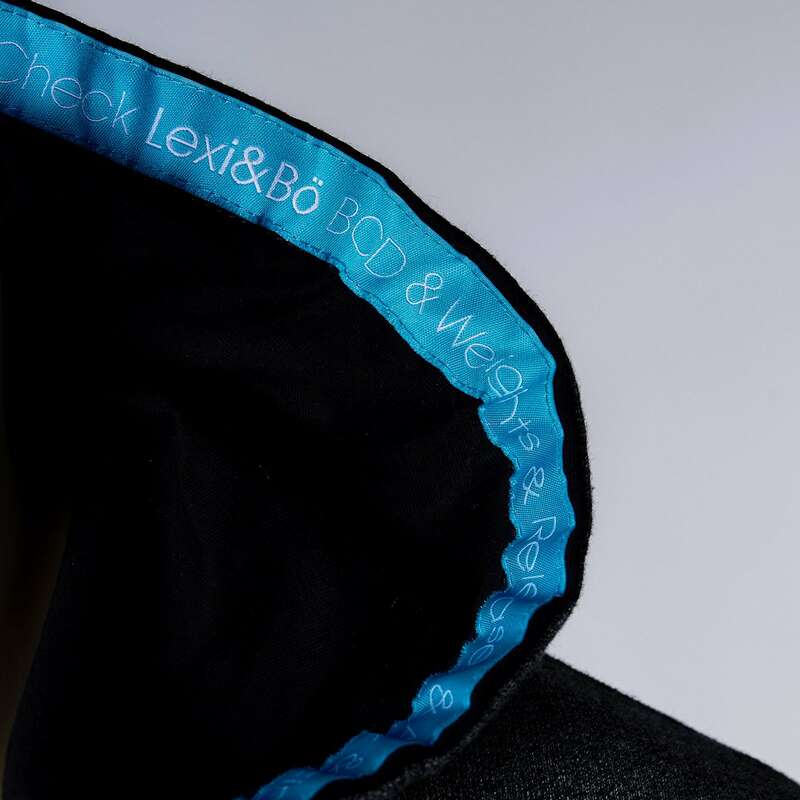 Details "Zip Hoodie Herren Jaspé Flame Mélange"
You will not miss out on our sleek yet stylish Lexi&Bö Zip Hoodie for men in dark gray. 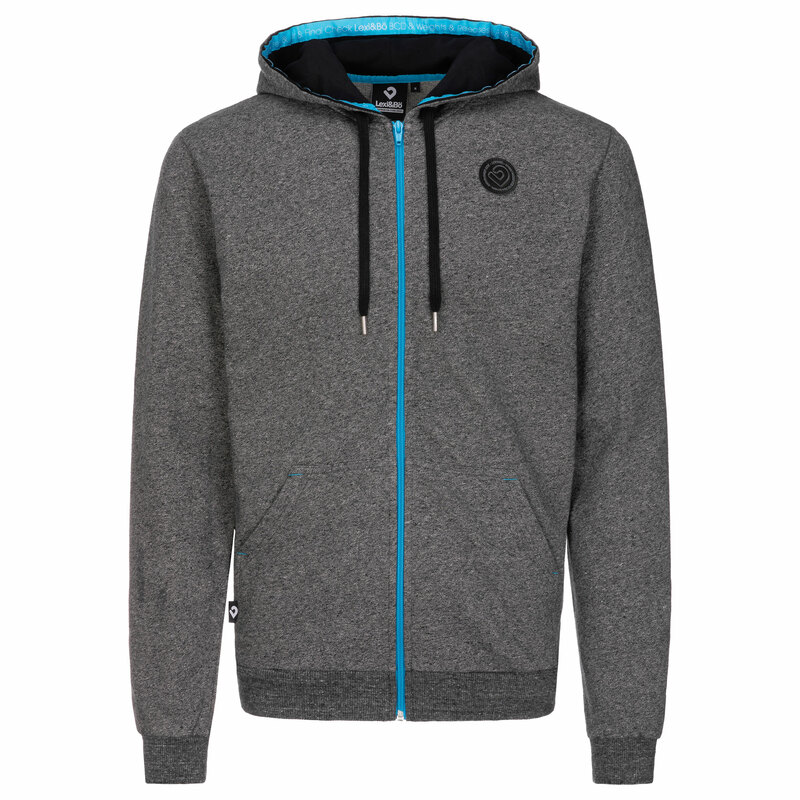 The elegant Jaspé Flame Mélange fabric gives the hoodie that certain something. The ice blue zipper and the ice blue band with the Buddy-Check rules complete the style. 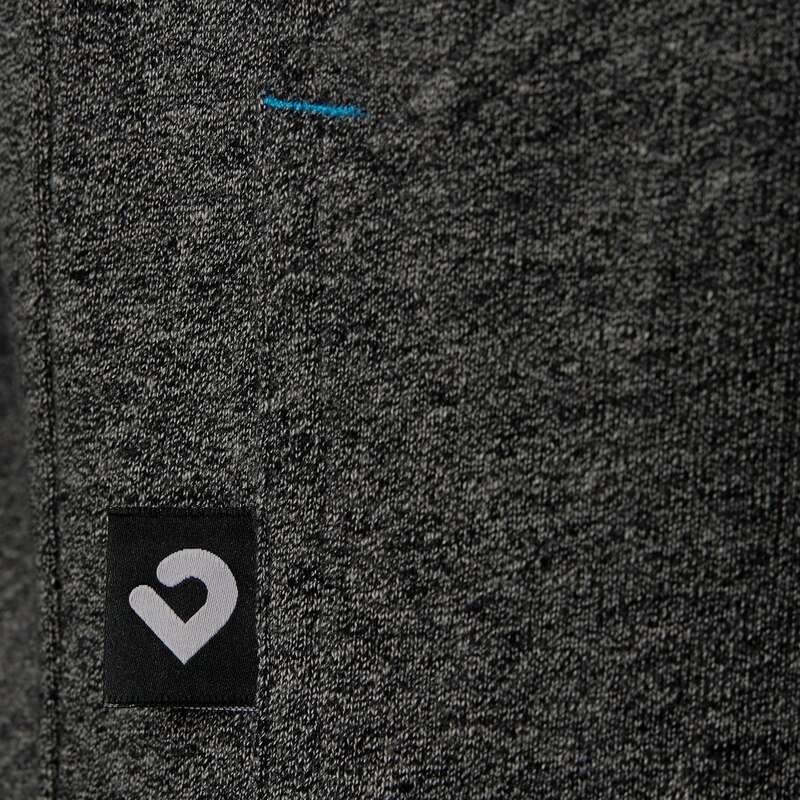 The lightweight Italian fleece fabric of our hoodie is made of 100% organic cotton. 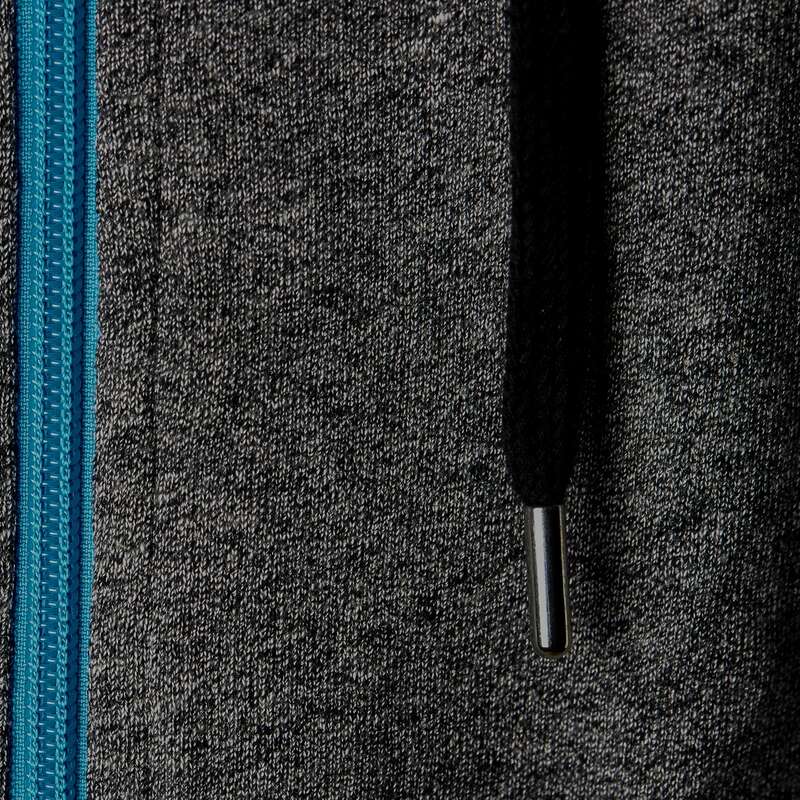 In addition to the high wearing comfort convinced our zip hoodie by its loose and casual cut. The material is free from any chemicals and thus gentle to the environment and to your skin. 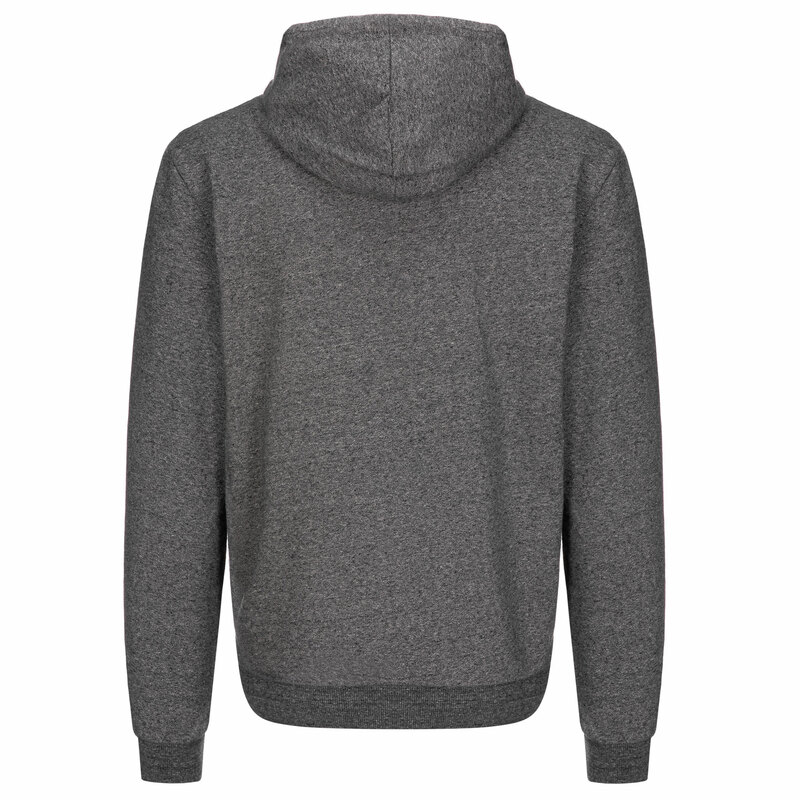 The wide hood has a black drawstring and two practical pockets on the front. The black leather Lexi&Bö patch completes the casual look. Our soft zip hoodie are manufactured with light Italian Fleece. It is smooth on the outside and cuddly soft on the inside. The material is made of 100 % organic cotton like all our other products. For all jackets we use high quality yarns from the company Otto Garne in Germany. The single fibres of these yarns are particularly long and very stable. 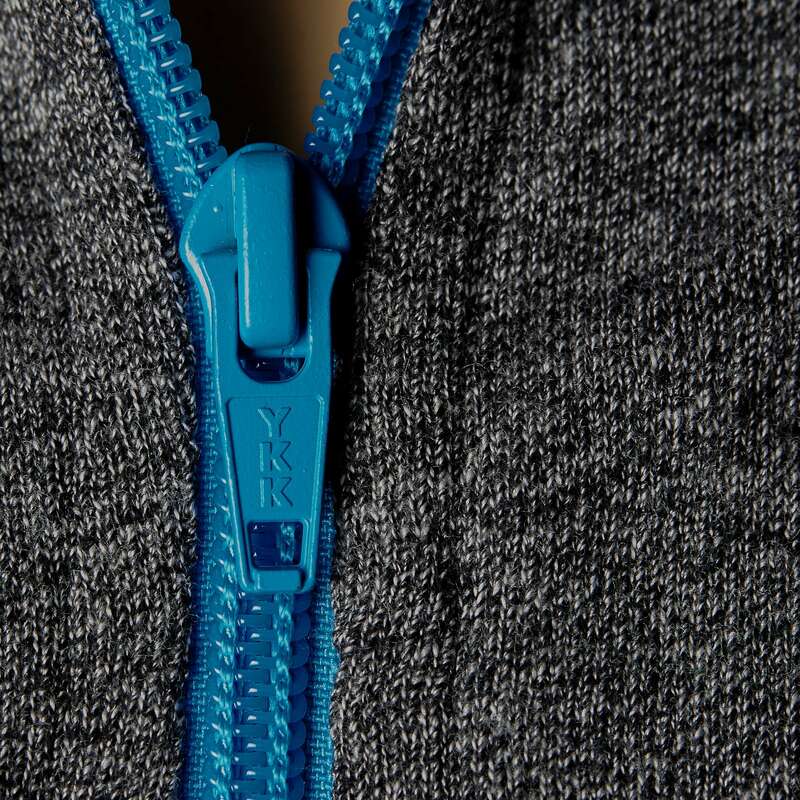 Our zippers are supplied by the market leader YKK. 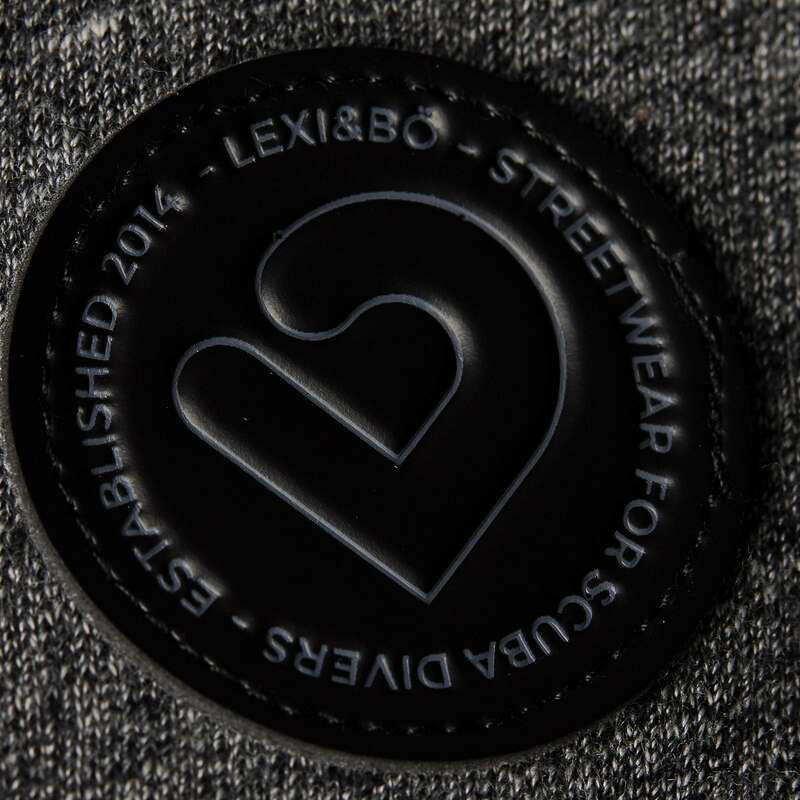 For the Lexi&Bö patches und and cord stoppers we use leather imitations. 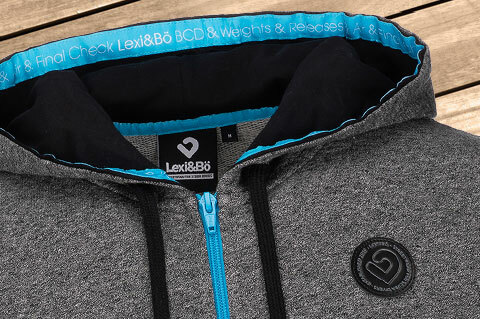 Our zip hoodies love to be washed at 30° and inside out. And please do not bleach them. The production of our Textiles meet the strict criteria of the Global Organic Textile Standard. We exclusively use bio cotton which is why our textiles are particularly skin-friendly and anti-allergic (chemial additives and pesticides are forbidden). 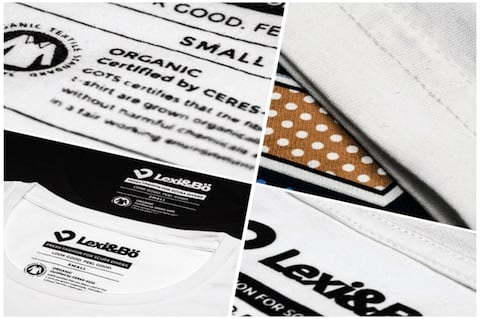 A special watercolour based printing technique does not only ensure long-lasting colours but – due to the renunciation of toxic chemicals – is also eco-friendly. Customer evaluation for "Zip Hoodie Herren Jaspé Flame Mélange"
Hab ihn auf der Boot gekauft. Wirklich schöner Hoodie. Größe M, 186cm und 77kg. Qualität ist gut und bleibt auch gut nach mehrmaligem Waschen. Ich ziehe ihn gerne an, besonders nach dem Tauchen!